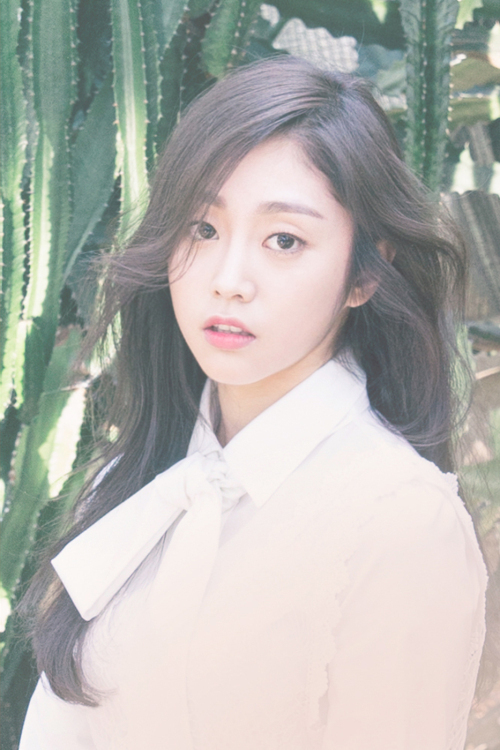 [Interview] Lovelyz's Jisoo, "I matured a little bit more through 'Real Men'"
Seo Jisoo of the girlgroup Lovelyz looked back at 2016. "2016 marks the beginning of our new trilogy, and to be able to showcase a different charm of Lovelyz was really rewarding and memorable," Lovelyz's Seo Jisoo began in a recent interview with Sports World. "I was really happy to be able to show a new image of Lovelyz. I thought, "What should I do to make the general public and our fans love us more?" The memory of all of us immersing ourselves in studying and doing research popped up," she reminisced. While counting the most memorable moments she had during MBC Entertainment program's "Real Men 2-Navy Special", she told us, "It was very hard and I cried a lot, but after some time I learned so much there and I think I matured a little bit more." Then, she revealed, "While experiencing another group life that is not with Lovelyz, I learned patience and cooperation. Most of all, it was the moment where I felt how incredible the soldiers who protect our country are. Now I can relate and talk to people who have returned from the army," she said, evoking laughter. On the question of what image will Lovelyz show in 2017, Seo Jisoo hinted, "We will earnestly go with Lovelyz's new trilogy after what we've shown you in our last mini album." She then said, "We will show you a new trilogy that will melt you lovingly. Please anticipate it," rising expectation.